Join us as we celebrate the South Florida alumni community and enjoy a conversation featuring Harvard University President Lawrence S. Bacow JD '76, MPP '76, PhD '78, and Harvard Overseer Marilyn Holifield JD '72, together with introductory remarks by Harvard Club of Miami President Jeff Bartel AB '88. Enjoy drinks, appetizers, and a night with fellow alumni and friends. The Harvard community is your community, and this event is open to all members. We hope you are as excited to join us as we are to introduce you to Harvard’s new president. Please RSVP soon to reserve your spot as we anticipate space for this event will fill up quickly. 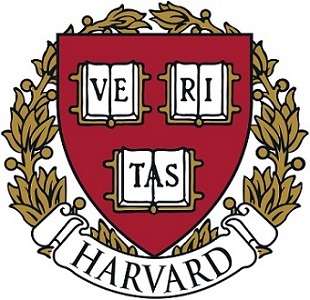 *Harvard Club of Miami membership benefits include: access and discounts to exclusive "but for Harvard" programs, cultural activities, sports and social events; exclusive business and networking opportunities, as well as opportunities to promote your career and business through our newsletter to nearly 5,000 area alumni and Harvard friends; discounts on certain Harvard publications including the Harvard Business Review (HBR) and other HBS publications, Harvard Health, Harvard Law and Harvard Medical publications; discounts on certain merchandise at The Coop®; access to the Harvard Club of New York City; connections through social media focused on professional and personal networking, career opportunities and job postings; recruiting and interviewing applicants to Harvard; the opportunity to endow Harvard Prize Books at local high schools; and much more.